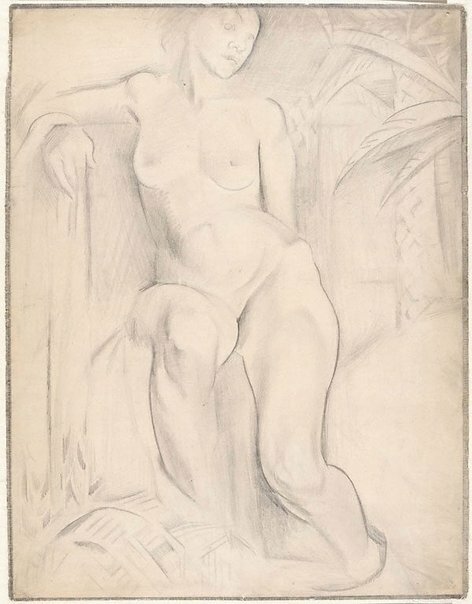 This drawing was made during the artist's time in Paris, where she studied under André Lhote a leading teacher of the Cubist movement. Her strongly delineated contours and volumetric modelling of the body accords with Lhote's emphasis on the simplification of forms into basic geometry. The drawing also reveals Crowley's strong grasp of anatomy, acquired through earlier academic training at Julian Ashton's Sydney Art School.